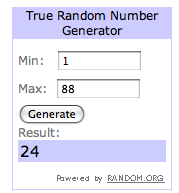 The winner of the amazing necklace from Birdcage Bohemia is TIA!! Email Beatrice at: Beatrice at birdcagebohemia dot com. Congratulations to the winner! What a lucky girl. I am so looking forward for another giveaway. Have a great day!